MySQL databases are required by many web applications including forums, content management systems, shopping carts and other. To use a database, you will need to create it. 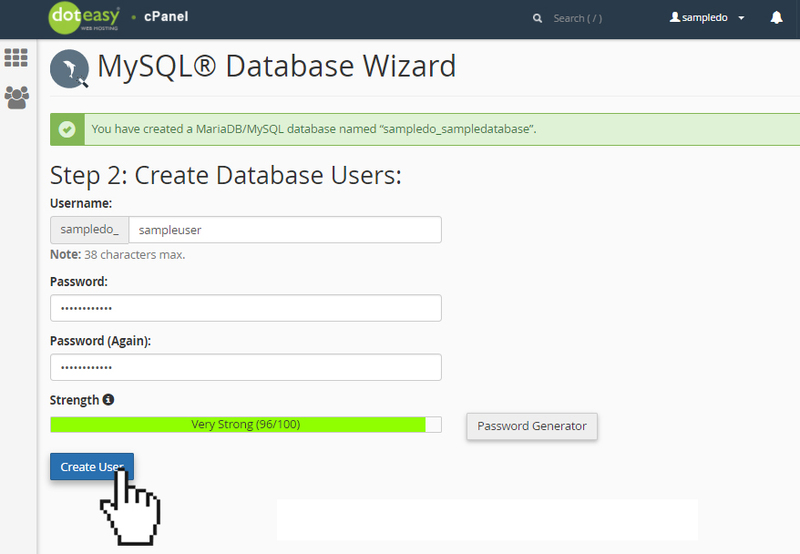 We strongly recommend using the MySQL Database Wizard to create your first database and user. 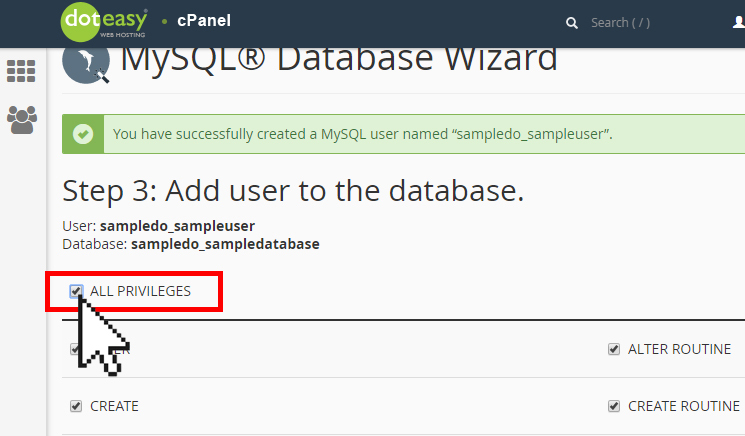 Click on MySQL Database Wizard under Databases in cPanel. In the New Database text box, enter a name for the database. When ready, click Next Step. On the next page, you can assign privileges for the user to the database. Select the checkboxes that correspond to the privileges that you want to grant the user, or select All Privileges. When ready, click Next Step. That’s it! Your MySQL database has been set up and the new user added to the database. Once you have completed the database setup process, you can proceed to add another database, and add another MySQL database user.